These drawings show the construction of four novel toys made from circus balloons that will prove highly fascinating. Fill the balloon with hydrogen and attach to it a postcard bearing your name, and a request to return it from whatever point it falls to earth. Thus you can learn in what direction and how far it travels. 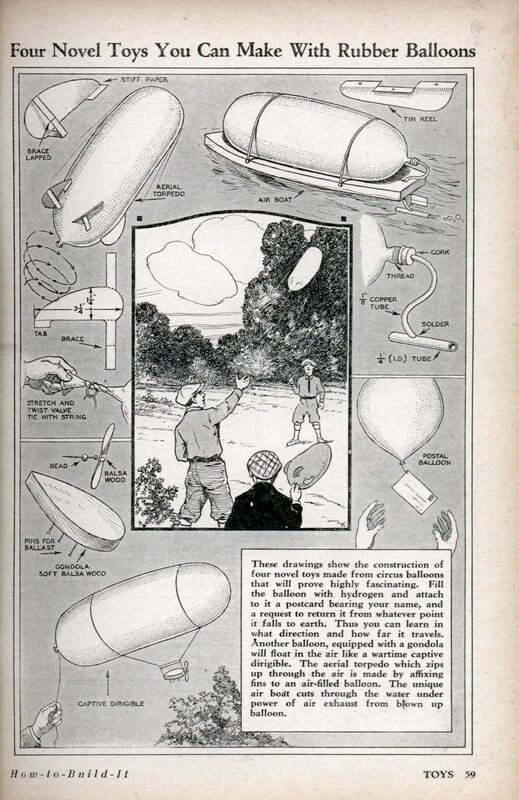 Another balloon, equipped with a gondola will float in the air like a wartime captive dirigible. The aerial torpedo which zips up through the air is made by affixing fins to an air-filled balloon. The unique air boat cuts through the water under power of air exhaust from blown up balloon. 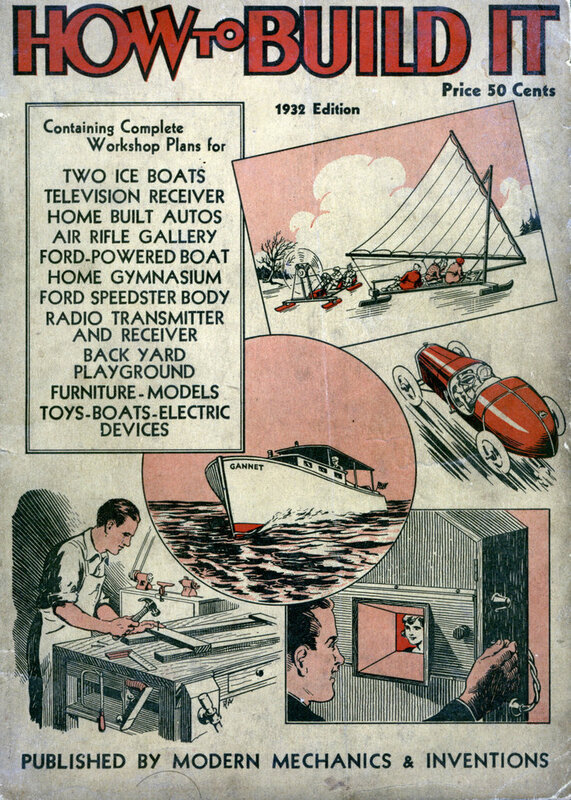 Oh boy, dad, let’s play Hindenburg!